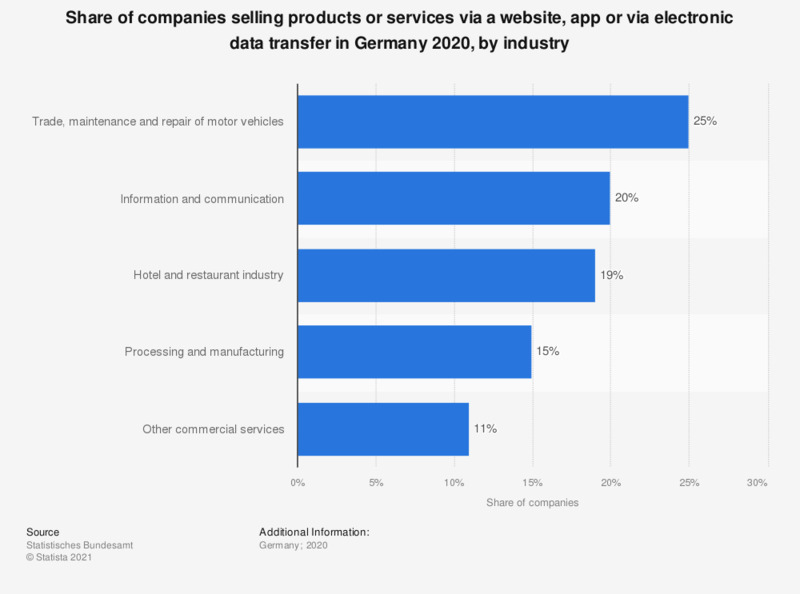 This statistic shows the share of companies selling products or services via the company website, an app or via electronic data transfer in Germany in 2017, by industry. In the period of consideration, 23 percent of companies in the information and communication sector sold their products online. Statistic can be found be entering "52911-0002" into the search bar at the linked website. The source states the following: "Included are companies who sell goods or services via website or an app (also web-shops, web-form, extra-net; not manually written emails)"